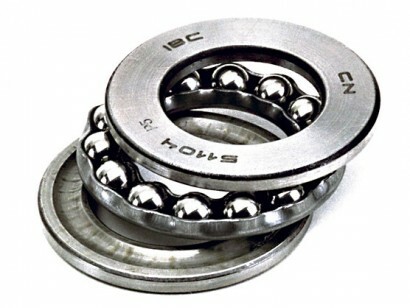 Thrust ball bearings are available in two types, single direction and double direction. The unit is made up of a shaft washer with raceway groove, a ball and cage thrust assembly and a housing washer with raceway groove. Accommodates axial loads working in both directions. Easy fitting with all parts being separable.